There was an empty chair at today's Nobel ceremony because of China's crackdown on dissidents. Gordon G. Chang on why the event can't hide the rifts in China's supposedly "harmonious" society. On Friday, an empty chair represented Liu Xiaobo at the Nobel Peace Prize ceremony in Oslo. The new laureate is in a Chinese state prison serving an 11-year term for "subverting state power." Beijing's reaction to the award announcement in October was swift as it was harsh. The Chinese government confined Liu's wife to her home, rounded up activists across China, and placed many citizens under tight surveillance. Beijing's moves, as effective as they were, have not been able to hide rifts in China's supposedly "harmonious" society. Of course, the announcement of the Nobel widened the divide between the country's increasingly repressive party-state and its ever more assertive populace. At the same time, the award created new divisions inside China's notoriously fractious dissident community as well as fresh tensions between an angry Beijing and other governments. Yet the announcement of the prize also triggered another debate, largely out of sight of the world, between those who imagine a country developing along its own "Chinese" path and others who want China to adopt an open society, borrowing ideas and concepts from the outside. The Nobel laureate firmly believes the latter. When asked in late 1988 what China really needed for "an historic revolution," Liu Xiaobo answered, "Three hundred years of colonization." His reasoning? Liu said Hong Kong became what it is today, after 100 years of British rule, so China would need three times that to become like Hong Kong. Then he added that three centuries might not be enough. For many, if not most, Chinese, another moment of foreign presence on China's "sacred soil" would be intolerable—much less 300 years of it. The country's young are taught about the "century of humiliation" at the end of the Qing dynasty and the Japanese invasion that started World War II in Asia. Yet even in a China that can be rabidly xenophobic at times, Liu's words about the desirability of colonization found surprising resonance. There are, in short, some Chinese who are so pessimistic about the ability of their fellow citizens to govern the nation that they would welcome a temporary dose of foreign rule. Josephine Chiu-Duke of the University of British Columbia recounts a story from the fall of 1986 when she was in Shanghai with Liu Binyan, a well-known reporter with People's Daily, the Communist Party's flagship newspaper. Chiu-Duke and Liu were in a cab on their way to a university lecture the reporter was about to give when the driver asked him about the possibility of real reform in China. The Canadian academic then asked the driver what he thought so that Liu could publish his answer in the nationwide publication. "Without hesitation," Chiu-Duke notes, "he said that, in his view, if China allowed the U.S. to manage it for 50 years, then things might be all right!" The announcement of the Nobel widened the divide between the country's increasingly repressive party-state and its ever more assertive populace. That would not be all right with the ruling Communist Party, however. Its response to the Nobel for Liu was first to brand him a "criminal" and then to rail against foreign interference in China's affairs. "Liu Xiaobo, the new winner, wants to copy Western political systems in China," stated the Global Times, a People's Daily publication, immediately after the announcement. 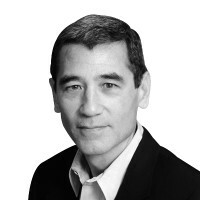 Gordon G. Chang is a Forbes.com columnist and the author of The Coming Collapse of China and Nuclear Showdown: North Korea Takes on the World , focusing on nuclear proliferation and the North Korean crisis. He has lived and worked in China and Hong Kong for almost two decades.